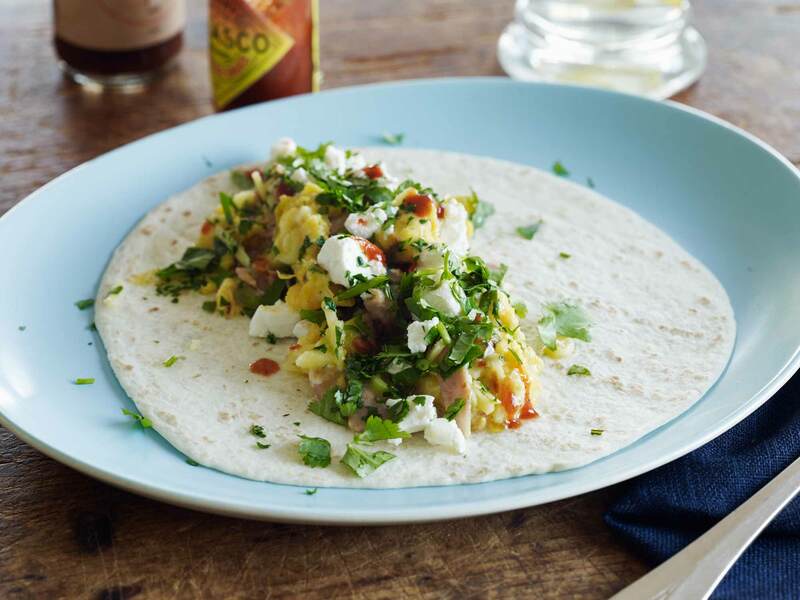 Hot, rich and savoury, soft pillows of creamy eggs atop tortillas are given a nice hot zing with chilli sauce and a pungent edge with coriander. They’re just the ticket to clear away the cobwebs after a big night out. 1 cup diced ham off the bone (see note), or substitute fried mushrooms, leftover roast chicken, flaked hot-smoked salmon etc. 1 Heat 1 Tbsp butter in a small frying pan and add the ham. Cook for several minutes until browned, then add spring onions. Cook for 3-4 minutes more, just until the spring onions start to wilt. Turn off the heat. 2 Whisk eggs with a large pinch of salt, the cream, ham and spring onions. Melt 2 Tbsp butter in a medium-sized non-stick frying pan over low heat. Use a heat diffuser such as a Simmer Mat if you have one as it will provide a beautifully even heat (if you use a heat diffuser cook eggs over a medium heat or they will take an age to cook). Add eggs, stirring with a wooden spoon more or less continuously, but slowly, for about 7 minutes all up, until eggs set in creamy flakes; don’t over-cook. Sprinkle with cheese and parsley. Turn off the heat. 3 Have tortillas wrapped in foil and warming in the oven (or microwave briefly, wrapped in paper towels). Immediately the eggs are ready, remove from oven and foil, spoon on scrambled eggs then top with feta, if using, and coriander. Sprinkle with hot sauce to taste, roll up and eat! Do not use crappy ham pumped full of water for this or it will stew instead of frying to a golden crisp. Go for freshly sliced ham off the bone, or, use one of the other suggested fillings. If using chicken, reheat in the same way. If using mushrooms, slice and fry in sizzling butter over a highish heat until golden. Season with salt and pepper. Hot-smoked salmon does not need heating – simply fry the spring onions on their own in a little butter, or leave them out. 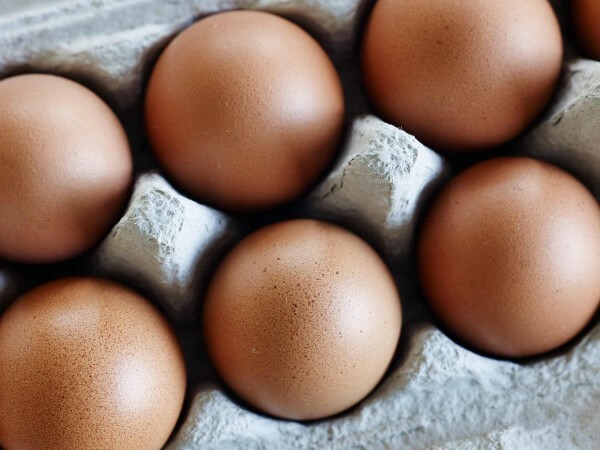 Chicken can be added to the eggs but mushrooms and salmon are best spooned on top of the eggs once they are cooked. Chips worth making at home! Crusty and golden – gorgeous fries you won't want to share!